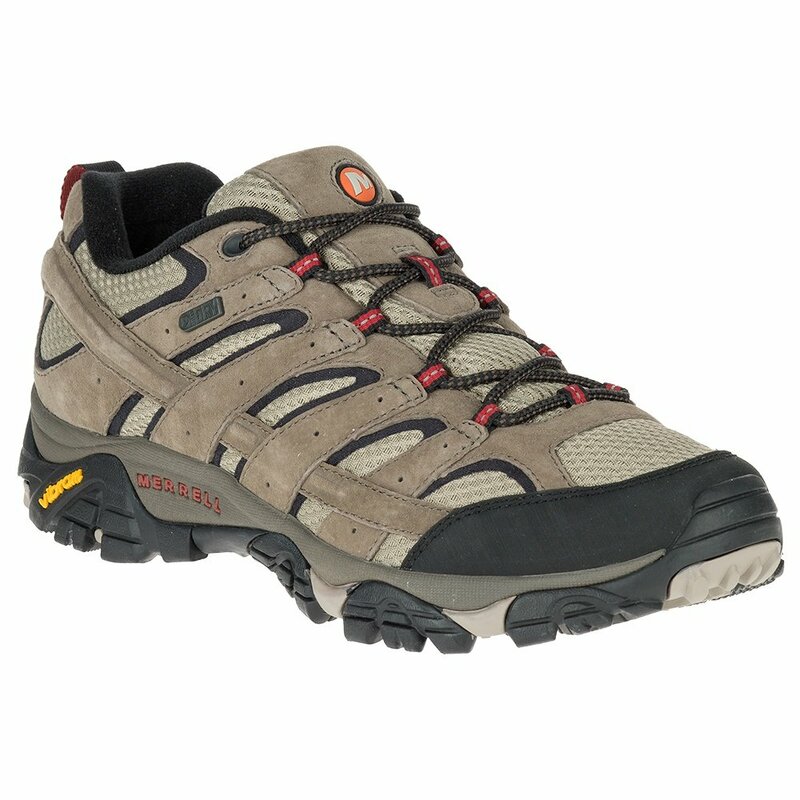 The Merrell Moab 2 Waterproof Hiking Shoe is just like the famous boot it shares it's name with, just in a low-rise style that's perfect for low-impact approaches or light day hiking. The Vibram® TC5+ Outsole is designed to provide reliable traction on all types of terrain, and the MSelect™ Dry waterproofing will keep rain, puddles, slush, and everything else soggy out even while maintaining the high level of breathability people have come to expect from the Moab. Inside, comfort remains, the MSelect™ F.I.T. Eco+ Footbed cushions every step and provides zonal support for your arch and heel. "How much does this shoe weigh?" "Thank you for your inquiry. The Merrell Moab 2 boot weighs 2 1/2 pounds! We hope this information helps!"